The Administration Information Building is sited in a key location adjacent to two main promenade axes. The laboratories are located east of it and the classrooms in the north. The building serves as a dynamic gathering place for students and staff. Its design was inspired by the famous Taihu stone with a porous nature. The pores and holes are transformed into a void structure with functional spaces linking up different programmes in the building, facilitation communication and interaction. 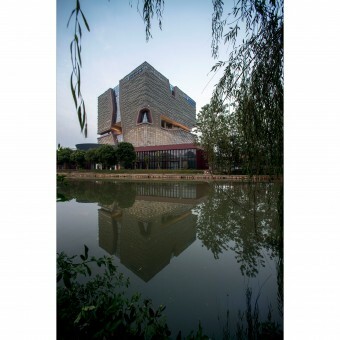 The university is located in Suzhou, where the famous Taihu stone is unearthed. The design of the Administration Information Building was inspired by the porous nature of the stone due to long time of erosion. The pores and holes are transformed into a void structure with functional spaces linking up different programmes of the building. The voids also allow the building to respond to the users and surrounding context and turn it into a vessel for interaction. The different heights of voids also create a three-dimensional Suzhou garden within the building. The void structure links up different programmes in the building, including an administration center, a learning and resources center, a training center and a student activities center. The voids allow the building to respond to the users and surrounding context and turn it into a vessel for interaction. The different heights create a three-dimensional Suzhou garden within the building, and provide rooms for sustainable features such as the use of natural daylight and natural ventilation. The Administration Information Building is sited in a key location adjacent to two main promenade axes. The laboratories are located east of it and the classrooms in the north. The Administration Information Building must serves as a dynamic gathering place for students and staff, which requires a structure that facilitates interaction. Xian Jiaotong-Liverpool University Architecture-Education Facility by Aedas is a Nominee in Architecture, Building and Structure Design Category. Xian Jiaotong-Liverpool University Architecture-Education Facility by Aedas is Winner in Architecture, Building and Structure Design Category, 2013 - 2014. 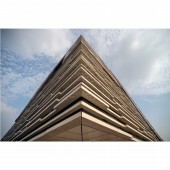 · Press Members: Login or Register to request an exclusive interview with Aedas. 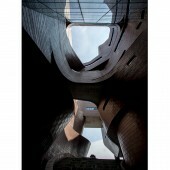 · Click here to register inorder to view the profile and other works by Aedas. 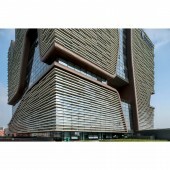 Did you like Aedas' Architecture Design? 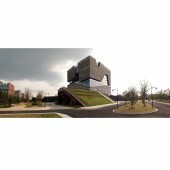 Did you like Xian Jiaotong-Liverpool University Architecture-Education Facility? Help us create a global awareness for good architecture design worldwide. Show your support for Aedas, the creator of great architecture design by gifting them a nomination ticket so that we could promote more of their great architecture designs.